Everyone knows the worst part of the workday is the part when you're awake. 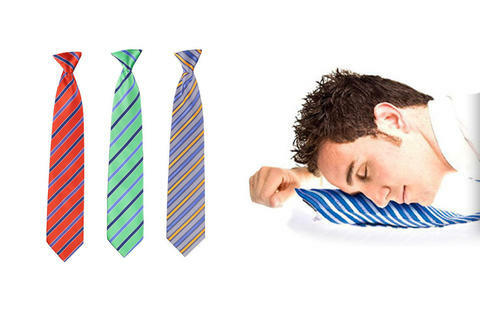 Available in a variety of colors, the Pillow Tie offers a stylish alternative to being conscious in the workplace. Inflate the pillow in the base of the tie and you're just one second away from joining Mila Kunis in dreamland for a naked game of Call of Duty. Just be sure to set your alarm so you wake up in time for happy hour.